to prevent breast cancer in some at-risk women. 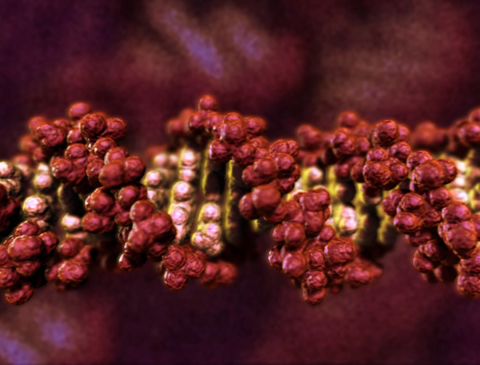 People who carry a faulty BRCA1 gene are at high risk of developing aggressive breast cancer. Currently many women with a gene mutation choose surgical removal of their breast tissue and ovaries to reduce their chance of developing breast and ovarian cancer. Using samples of breast tissue donated by women carrying a faulty BRCA1 gene, Ms Emma Nolan, Professor Jane Visvader and Professor Geoff Lindeman were able to pinpoint the cells that give rise to breast cancer. The research, which also involved researchers at the Australian familial cancer consortium kConFab and Dr Bill Dougall from the US biotechnology company Amgen was published today in Nature Medicine. Professor Lindeman said that a concurrent study led by an Austrian group had also identified the importance of RANK. “Complementary approaches were used," he said. "They deleted the RANK gene during development. We switched off the RANK pathway using an inhibitor to recapitulate a breast cancer prevention study in humans. Both studies suggest that targeting RANK offers hope to women at high genetic risk for breast cancer. “This is potentially a very important discovery for women who carry a faulty BRCA1 gene, who have few other options. Current cancer prevention strategies for these women include surgical removal of the breasts and/or ovaries, which can have serious impacts on people’s lives. To progress this work, denosumab would need to be formally tested in clinical trials in this setting as it is not approved for breast cancer prevention,” Professor Lindeman said. The research team worked closely with Mrs Avis Macphee, a patient advocate, through the Walter and Eliza Hall Institute’s consumer-researcher buddy system. The research was supported by The National Breast Cancer Foundation, The Qualtrough Cancer Research Fund, The Joan Marshall Breast Cancer Research Fund, the Australian Cancer Research Foundation, Cancer Council Victoria, the Cancer Therapeutics Cooperative Research Centre, an Amgen Preclinical Research Program Grant, the National Health and Medical Research Council, the Victorian Cancer Agency, and the Victorian Government Operational Infrastructure Support Scheme. In 2006 our breast cancer research team had a eureka moment: the discovery of breast stem cells. Explore the story on our Discovery Timeline. This animation from WEHI.TV visualises research published in Nature Medicine in 2009 by Professor Jane Visvader and Professor Geoff Lindeman.